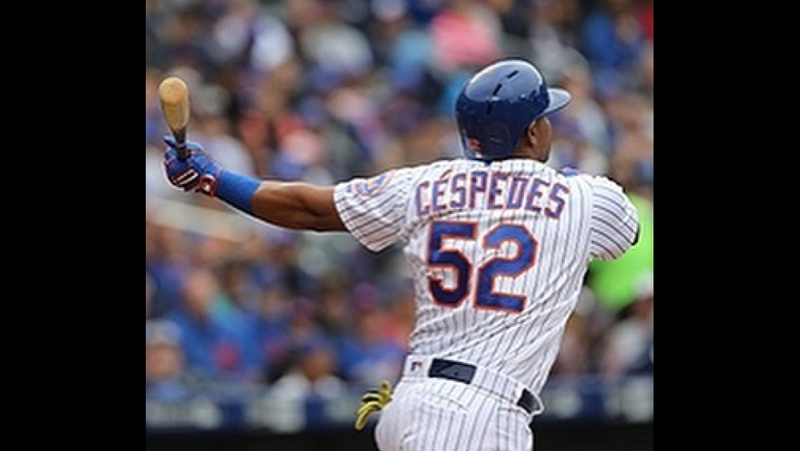 **DOUBLE UPDATE: Cespedes only needs to hit 1 (yes, just 1!) home run per game as long as Thor throws 8 scoreless innings per start. The studs must be STUDLY!! **UPDATE: I’ve crunched the numbers, and I’ve determined that all Cespedes needs to do is hit two home runs per game and we’ll make the playoffs. 80 dingers in 40 games. Can he do it? It’s our only hope. Playoffs?! Playoffs?! I just hope we can finish over .500 wooooow do we blow. Still nice to see Yo and Asdrubal activated. It’s really a much better team now. We’ll only get blown out by 7 or 8 instead of 30. Hopefully they can get their sea legs and do some damage. For the love of God, sign Yo. Dunno if you’ve been paying attention, Jewpons, buuuuut I think Bruce, Grandy, and Conforto ain’t exactly gonna cut it out there.